You're Still The One is a 2015 Filipino romantic drama film directed by Chris Martinez starring Maja Salvador, Dennis Trillo, Richard Yap and Ellen Adarna. It was distributed by Star Cinema and Regal Entertainment and was released on May 27, 2015. Two people who have always been in love struggle to find the right time to finally be together, as they keep encountering each other when they're with someone else. Ellise (Maja Salvador), a tough-spirited college student, finds herself in the company of Jojo (Dennis Trillo) after settling their issues involving her grades. Jojo tries to woo Ellise, but she makes it clear to him that she is not looking for a boyfriend. Years later, Ellise learns something about Jojo and gets in touch with him. They meet and the spark between them ignites once more, but Ellise gets her heart broken when Jojo confesses to her that he’s already getting married to Racquel (Ellen Adarna). Jojo and Ellise decide to stay as friends, but deep inside they continue to build their feelings for each other. 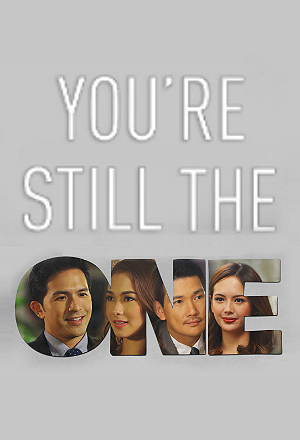 Ellise then becomes a lawyer and meets Vincent (Richard Yap), who eventually falls in love with her. In the end, Ellise must choose between the right love that came in the wrong time and the wrong love that came in the right time.